Itching for some good music this week? We’ve got you covered. If you think weekends are meant to be spent lazing on the couch in your boxers, binge-watching TV shows and munching on junk food then hey, we've got that in common! When we do occasionally crawl outside and brace the traffic, crowd and police blocks, it's because we've got a really valid reason to do so. This weekend, we're venturing out of the comfort of our homes because of these guys and you should too. Who? Everyone’s excited about the new Malaysia and especially so what with our National Day just around the corner. And what better way to celebrate than by getting local Malaysian bands together for a concert? 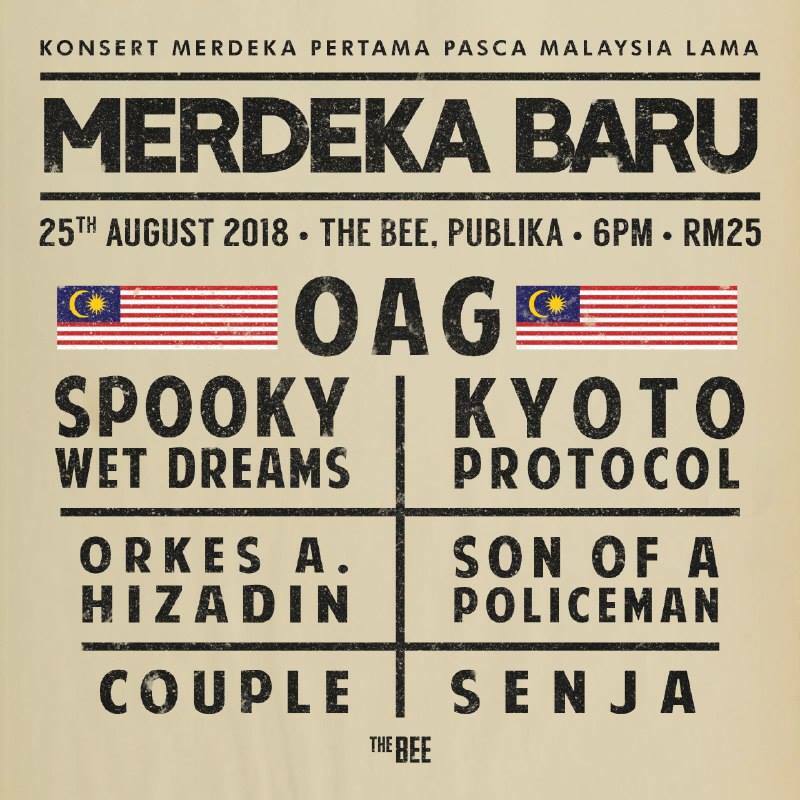 The Merdeka Baru: Konsert Merdeka Pertama Pasca Malaysia Lama as it’s called will be musically graced by OAG, Kyoto Protocol, Son of a Policeman (SOAP), Spooky Wet Dreams, Couple, Senja and Orkes A Hizadin. Expect to be blown away, guys. Other Details: Entry costs RM25 and the show starts at 6PM. Who? 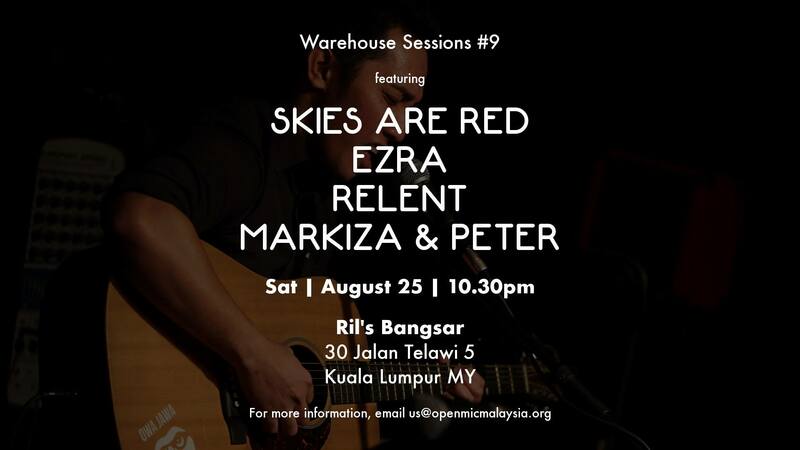 Ril’s Warehouse Sessions is back again with another impressive line-up of Malaysian indie acts! This time around, they’ve got Skies Are Red, Ezra, Markiza & Peter and Relent taking stage for a night of wholesome indie goodness. Who? 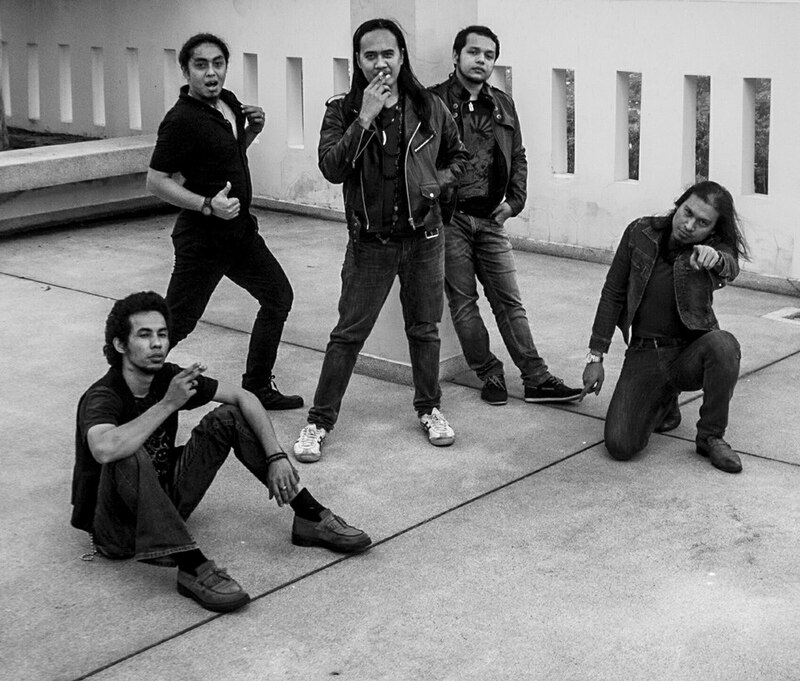 Once again proving that good food isn’t all there is to Penang, is Volatile – a six-piece Rock band whose influences include the mighty Zeppelin, Foo Fighters, Deep Purple and more. 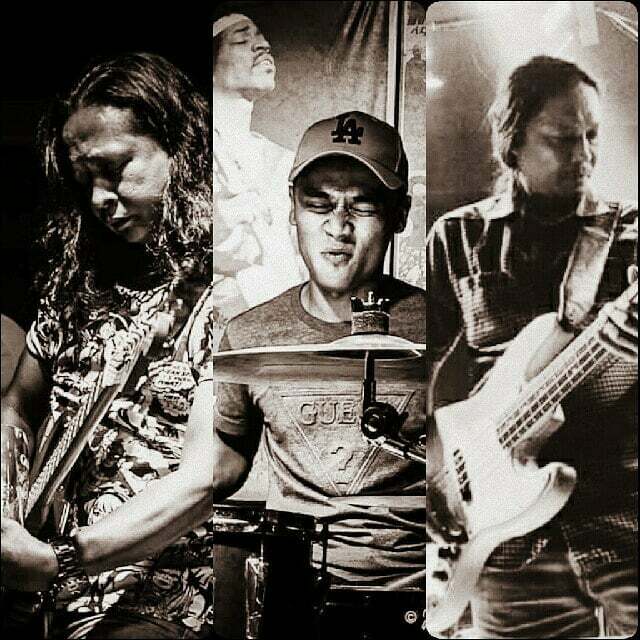 Expect some great original tracks from their latest album, ‘It’s About Art’ (the album will be on sale on the day too) and don’t forget to bid your well wishes to the band’s lead vocalist Sean Choon who’s leaving the country to pursue his studies. 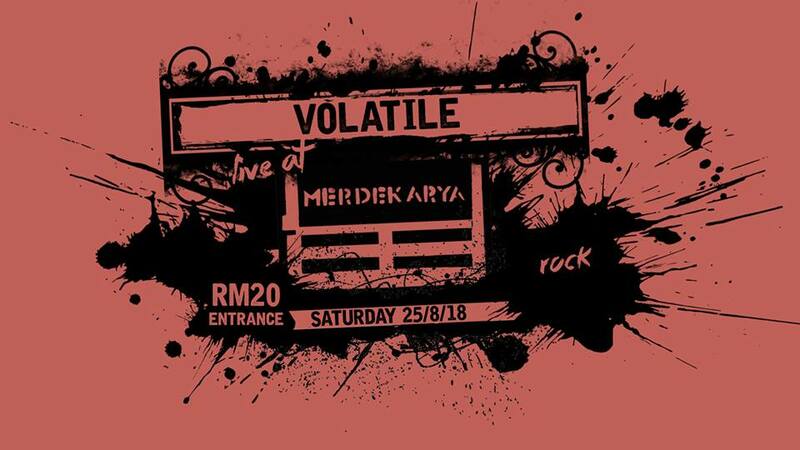 A sad departure but fans will be glad to know that this will not be the end of Volatile as a band. Other Details: Tickets are RM20 at the door and the show starts at 9.30PM. Who? 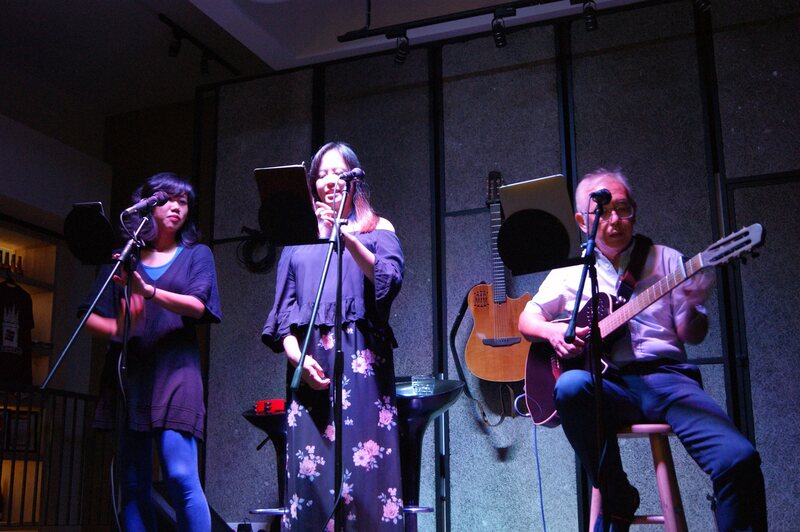 One of Shanghai’s most captivating jazz musicians is in town to give us a taste of her unique ability in bridging the gap between traditional Chinese songs and the West’s jazz legacy. 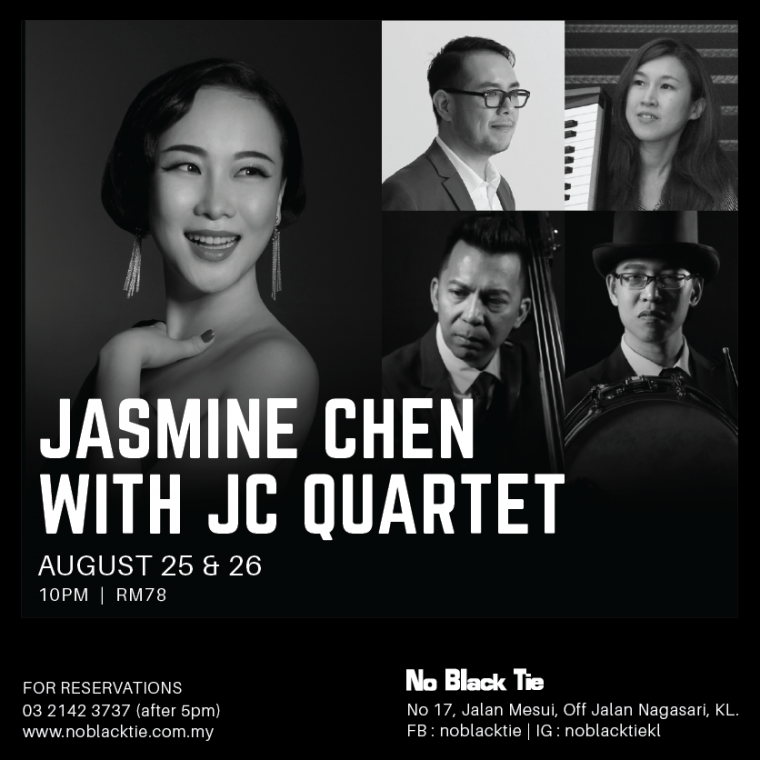 Mixing slowly disappearing folk songs and contemporary jazz singing is no easy feat and that’s exactly why Jasmine has a huge following from both Chinese and Western audiences. Fun fact, she both performed and recorded soundtracks for ‘Crazy Rich Asians’, so look out for that when you eventually do watch the film. She’ll also be releasing her new album at the end of this year. Other Details: Admission fee is RM78 (*RM10 off for students with valid Student ID) and the show starts at 10PM. Who? 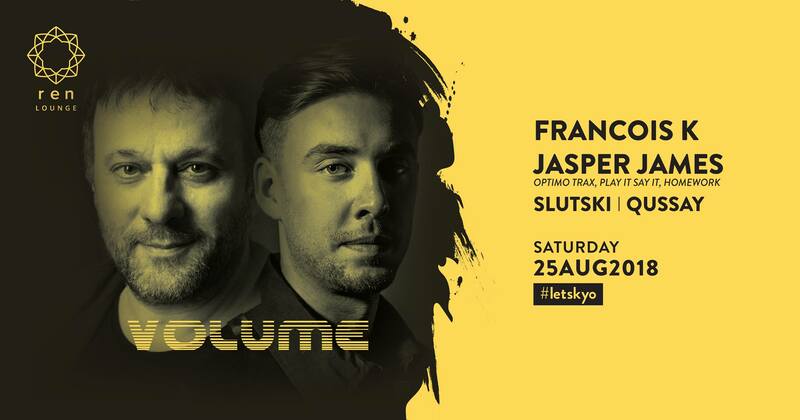 Playing host to yet more exciting guests DJs, Volume at REN has this time pulled in the likes of Francois K – considered one of the forefathers of house music and Jasper James, one of the UK and Europe's leading young selectors capable of working any crowd at any time. Other Details: Admission is RM50 before 1AM and RM60 after and is inclusive of one drink. The show starts at 11PM. Who? 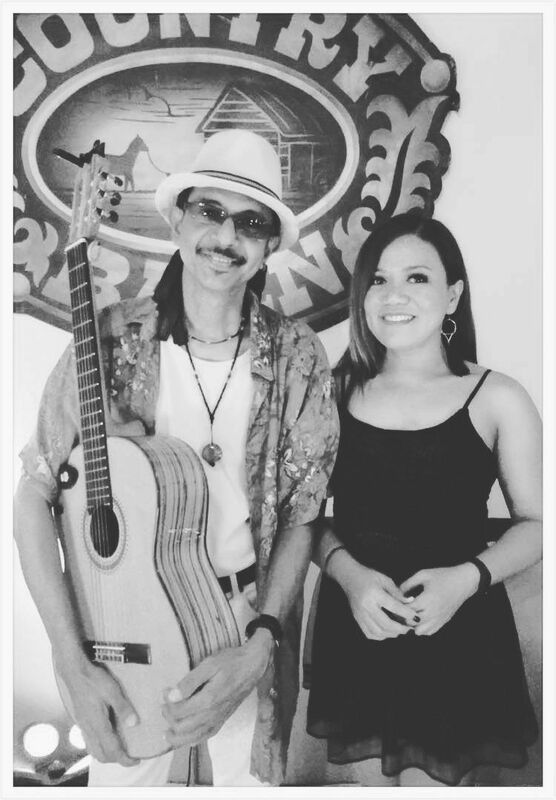 The “Carlos Santana of Malaysia” (that’s who! ), Alphonse Jerome does what he does best with the guitar complemented by Sherry on vocals for a night of good Country music and well, nearly everything else! Who? If it’s some good fist-pumping and headbanging Rock music you’re looking for, a dose of The Sharin Trio (or Sharin Band) is just what you need. From ACDC, Metallica, Deep Purple, Jimi Hendrix, Iron Maiden or even the great Led Zeppelin, go ahead and make a request and subsequently get your mind blown. Who? For a pleasant break from the pumping, electronic music in Changkat, why not join Richard Lim & Friends for some fine Country tunes. Cowboy hats are not mandatory but highly recommended. Where? TAPS Beer Bar, Changkat. Who? 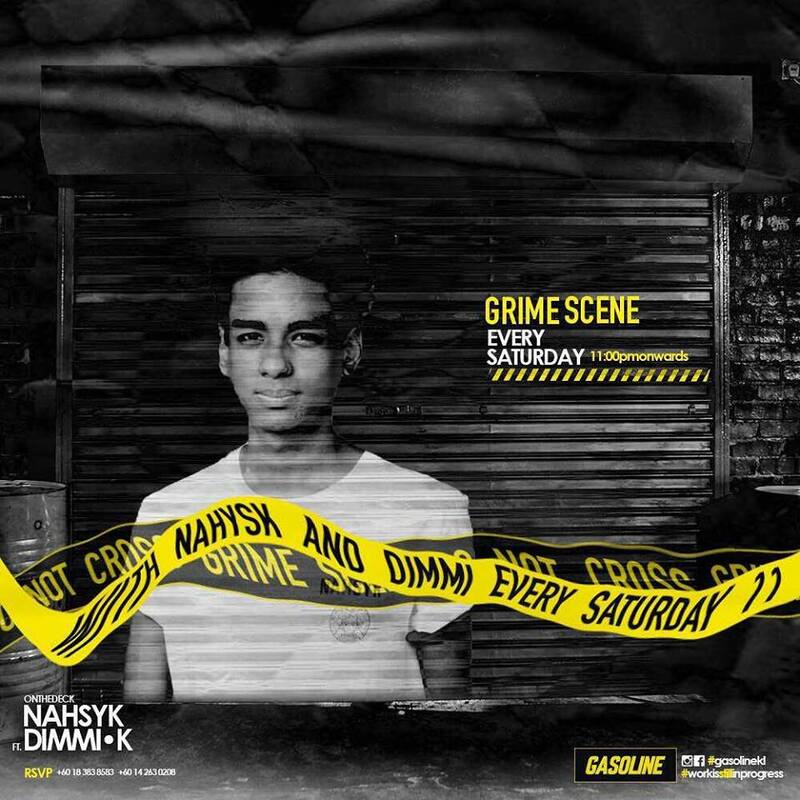 Nahsyk, a young DJ and producer is bound to be a familiar name soon enough. Known to “bring down the house” at every show, here’s where you need to be if you’re game for some good ol’ Hip Hop and R&B. Who? 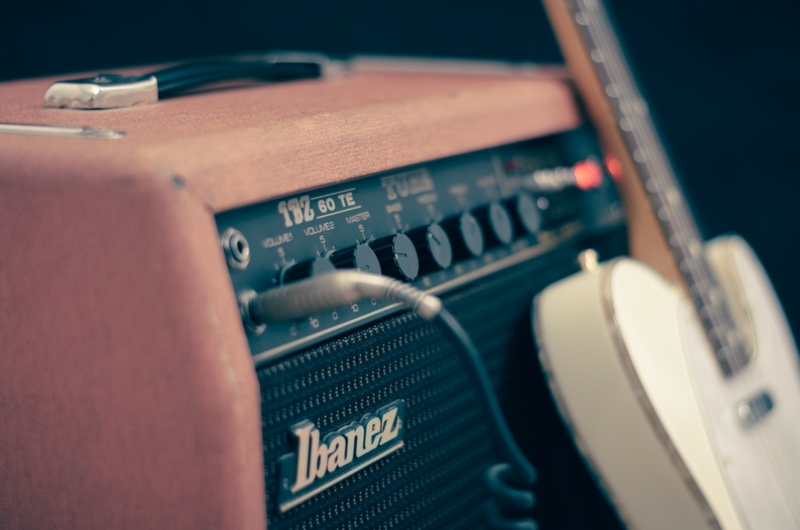 Soul Statue are heavily influenced by the likes of Pink Floyd, Rush, Deep Purple and Led Zeppelin and here’s a fun fact – they were discovered through Backyard’s very own JAMFest. You can catch these guys every Saturday here. So there you have it, a list of live music acts happening this weekend that probably makes you wish you could split your self and attend 'em all. Did You Know That Malaysians Worked on These Hollywood Movies & TV Shows?